Ramiro was born in Rosario and raised in Buenos Aires, Argentina. Ramiro began his musical education when he was a teenager, studying piano, musical theory, composition, improvisation, and arranging. ​In 1992 he started what would become an extensive and adventurous career that took him all over the globe, performing with hundreds of artists in front of thousands of people. In Buenos Aires Ramiro was pianist/rehearsal pianist for many touring Broadway shows, including "Sweet Charity", "Little Shops of Horrors", "Saturday Night Fever", "Once On This Island", "Oliver", and "Working." As an arranger, composer and producer, his music has been published, performed and recorded by many musicians and vocalists around the world. As a pianist and musical director, he recently finished a 10-year long stint on cruise ships, leading the on-board orchestras with Celebrity Cruises, Crystal Cruises, Norwegian Cruise Lines and Royal Caribbean. 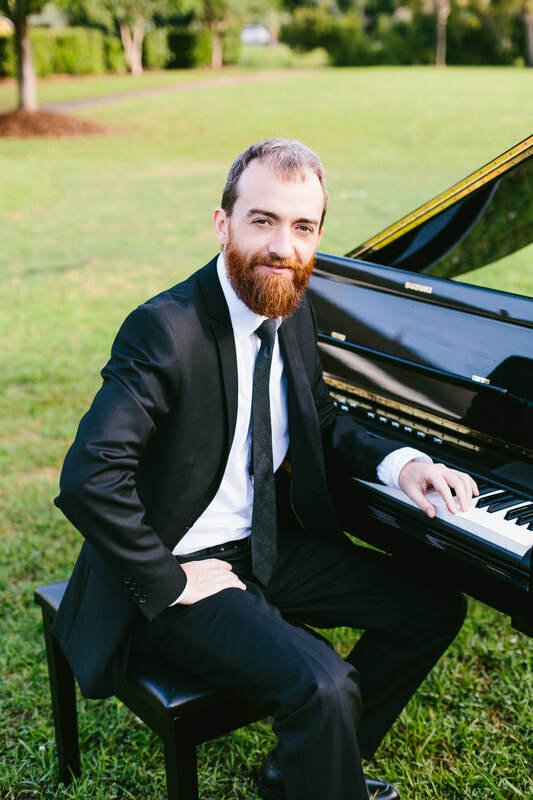 Now Ramiro is happily settled down in beautiful Summerville with his wife Sara, and he is excited to be part of Lowcountry Pianist & Company LLC.